If you intentionally or accidentally disabled the Chrome extension, don't worry. You can re-enable it easily by following the steps below. There is also an animation showing this process at the end of this article. If you need to re-install the Chrome extension, please click here for instructions. Click the checkbox next to "Enable" to switch it to "Enabled." You have successfully enabled the Chrome extension! 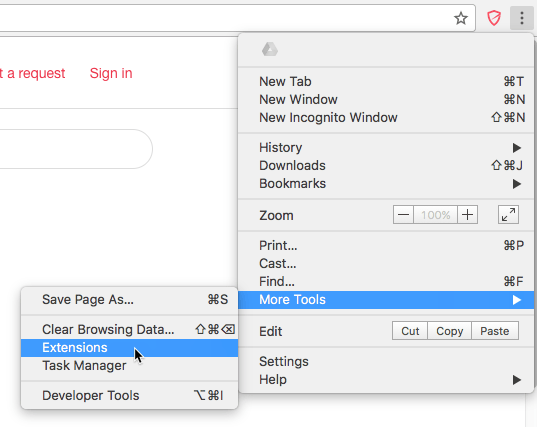 HINT: If you finished enabling it, but don't see the icon on the right of your address bar, it's most likely "hidden" in the Chrome menu. To show it on the right of your address bar, simply follow these instructions.